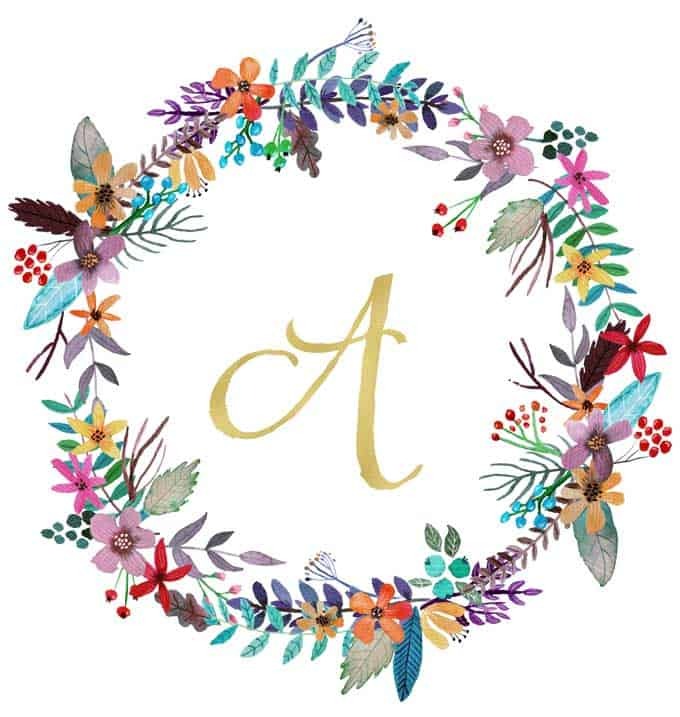 I’ve been noticing on Pinterest lately that monogram artwork is taking over-especially when combined with pretty florals. I decided to make my lovely readers a thank you gift-a set of monogram printables in every letter of the alphabet! 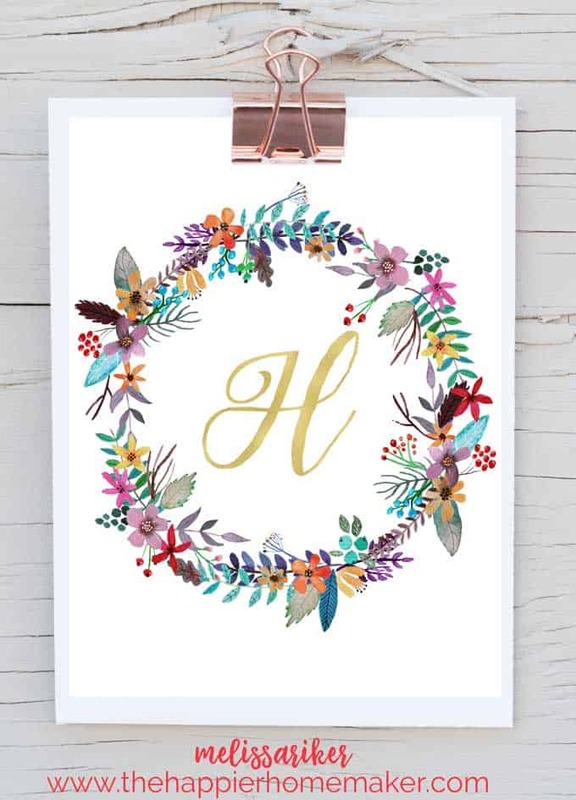 This free printable monogram art would be perfect in a pretty frame like this for a nursery or gallery wall. You could even print it and use it as a binder cover! To get your printable art just click the link below, be sure to sign up for my newsletter below for exclusive, subscriber-only printables delivered straight to your inbox! These are beautiful! Thank you so much for sharing. I noticed on the “M”, the top right corner if the M is cut off. I’d love to print this for my daughter; are you able to fix it? Thank you! Ok thank you so much! I appreciate it! Thank you so much for sharing your talent! I love it!!! can i use several of these as Christmas gifts. they are gorgeous! Love this for my nursery. I’ve tried clicking on the link but it doesn’t do anything. Is it still available? for some reason the A is missing. Can you help? Thanks much! I am using Safari, should I try internet explorer? It’s so beautiful. The first letter of my daughters name is hanging in our bedroom. Thank you so much! Thank you what a Beautiful set so gracious you are! Thank You! These are really beautiful! 🙂 Any more designs you would have? Masya Allah . what a beautiful artwork . thanks dear for sharing . may God bless u ! Love this – do you perhaps have a printable version?